Each of our faculty have received music degrees as well as Suzuki Method training. We strive to adhere to Dr. Shinichi Suzuki's philosophy of talent education as well as nurturing each student individually. Alpharetta native Tricia Anderson started playing the violin as a 4th grader in the Fulton County, GA public school system. She went on to earn a Bachelor of Music from the University of Georgia and a Master of Music from the University of Cincinnati College-Conservatory of Music, both in violin performance. After graduating from Cincinnati, she discovered the Suzuki teaching method and began receiving her teacher training during summer institutes. She has received training at the Atlanta, GA, Stevens Point, WI, and Salt Lake City, UT Suzuki institutes. Her Suzuki teacher trainers have included Kimberly Meier-Sims, Ed Kreitman, Teri Einfeldt, Pat D’Ercole, Lorraine Fink, Kathy Wood, Nancy Lokken, and Alice Joy-Lewis among others. Her students regularly win placement in the Georgia All-State Orchestra, placement in several area youth orchestras, and institute scholarships from the Suzuki Association of Georgia. In addition to teaching, Mrs. Anderson enjoys freelancing in the Atlanta area. She is a member of the Columbus, GA and the Johns Creek, GA Symphonies. Along with her husband, Tim, Mrs. Anderson co-directs the Georgia ASTA Summer Orchestra Camp. She is also on the staff of the Atlanta Suzuki Institute and enjoys teaching at Encore! Orchestra Camp every summer. Rachel Bachmeier received a bachelor’s degree in violin performance and a master of music education from the University of Georgia. With over ten years of Suzuki teaching experience, Rachel is a registered Suzuki teacher and a member of the Suzuki Association of the Americas. Rachel has served on the board of and is a member of the Suzuki Association of Georgia. She is currently Director of Finance for the Atlanta Suzuki Institute. As well as teaching Suzuki violin, Rachel is a trained Musik Garten teacher which is an early childhood music program for babies through pre-school age children. Rachel enjoys performing with the Concord String Quartet and freelancing around the Atlanta area. 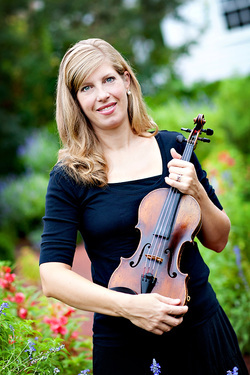 Violist Tracy Shealy has been teaching Suzuki Method lessons since 1997. She is a founding teacher for North Atlanta Talent Education. 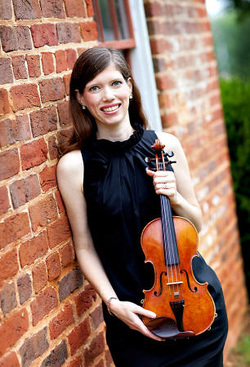 She received a Bachelor of Music in viola performance from the University of Georgia, and short term Suzuki training with Teri Einfeldt, Edward Kreitman, Nancy Jackson, and Elizabeth Stuen-Walker. 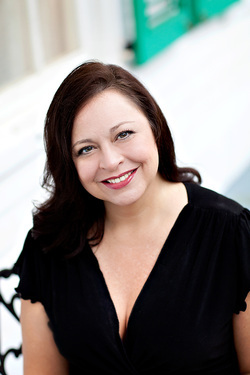 She is a member of the Suzuki Association of the Americas, American String Teachers Association, the Georgia Music Educators Association, and the Suzuki Association of Georgia. Tracy was a director of the Atlanta Suzuki Institute from 2003-2010 and enjoys performing with the Johns Creek Symphony Orchestra. An Alpharetta native, she began her musical training in 4th grade in the Fulton County Schools Orchestra Program at Kimball Bridge Elementary. She lives in Roswell with her husband, three children, and dog. Amanda Graham Brown began playing the piano at the age of two. She began formal training at age five. Amanda’s gift on the piano is a natural part of her personality. She has been teaching piano and voice since the age of 14, as well as accompanying in church and school events. Amanda has her A.A. in piano,voice and music education from Emmanuel College, her Bachelor in Arts degree from the University of Georgia as well as her Masters in Music Education. She has trained in the Suzuki method for the past 12 years. Amanda’s gifts have taken her into almost every venue one can imagine. She has toured with Mac Frampton’s Henry Mancini orchestra, she has led worship in many churches, trained the musical drama department at Parkview High School, and performed for many private events. She has served in churches as pianist, organist, children’s music director, and worship leader for the past 32 years. She is currently the Worship Leader at New Beginnings United Methodist Church in Kennesaw, Ga. She currently lives in Marietta, Georgia with her husband, Scott, and her two children, Graham and Ellis. Jean Gay, SAA registered cello instructor, teaches cello lessons in Roswell, Decatur, and Atlanta, GA. Since starting her cello studio in 2005 she has completed numerous apprenticeship and training programs to further develop her teaching abilities. Under the guidance of Pamela Devenport she completed Suzuki Certification courses in books 1-8. She has also attended multiple Suzuki workshops and sessions, such as Tanya Carey’s “Cello Playing is Easy” course. Her degrees were completed in both Atlanta and Chicago; in 2013 she received an Artist Diploma from Georgia State University studying with Christopher Rex, in 2011 a Masters degree from the College Conservatory of Performing Arts in Chicago studying with Wendy Warner, and in 2009 an undergraduate degree from Georgia State University studying with Martha Gerschefski and Pamela Devenport. 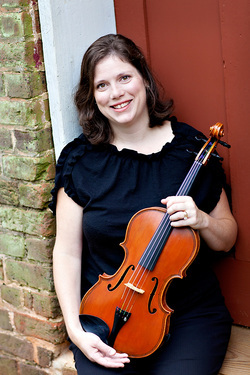 She is a current member of the Suzuki Association of the Americas, Suzuki Association of Georgia, and American String Teachers Association. ​Alex Lipsky, NATE alumni, is a SAA registered violin instructor and active Atlanta performer. She has been playing violin since she was six years old. Alex received her Bachelor in Arts degree from Valdosta State University as well as her Masters Certificate in Suzuki Pedagogy from Denver University. She completed her Suzuki training and degree under the direction of Kathleen Spring. In addition to teaching, Alex enjoys freelancing in the Atlanta area. She is a member of numerous regional symphonies and serves as Assistant-Concertmistress for Albany Symphony Orchestra. Before establishing her studio in Roswell, Alex taught privately in Valdosta and Denver for six years.